Pelican dockside diving will take care of all your propeller needs. Service provided for insurance purposes. Pelican dockside diving is a premier underwater yacht maintenance company licensed and insured established in 1982 that has serviced tens of thousands of yachts throughout South Florida Bahamas and Caribbean from 10 feet to 200 feet and removing and replacing propellers to 66 inches in diameter. 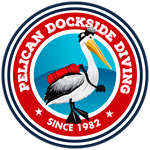 © 2018 Pelican dockside diving | All Rights Reserved.